This lovely necklace is simple and sweet. 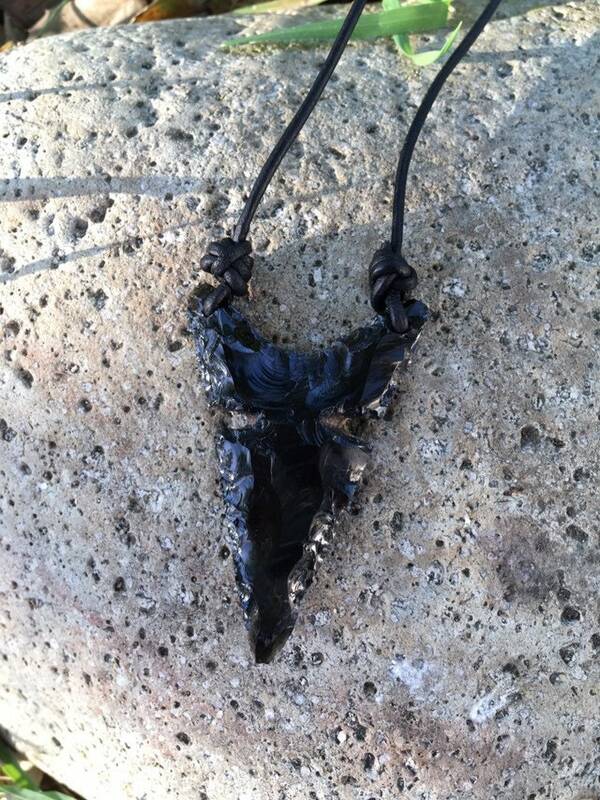 Obsidian is such an wondrous substance formed from lava! So interesting how cooled lava can make this fascinating material! This one has an unusual 2 top points, giving it some extra character. 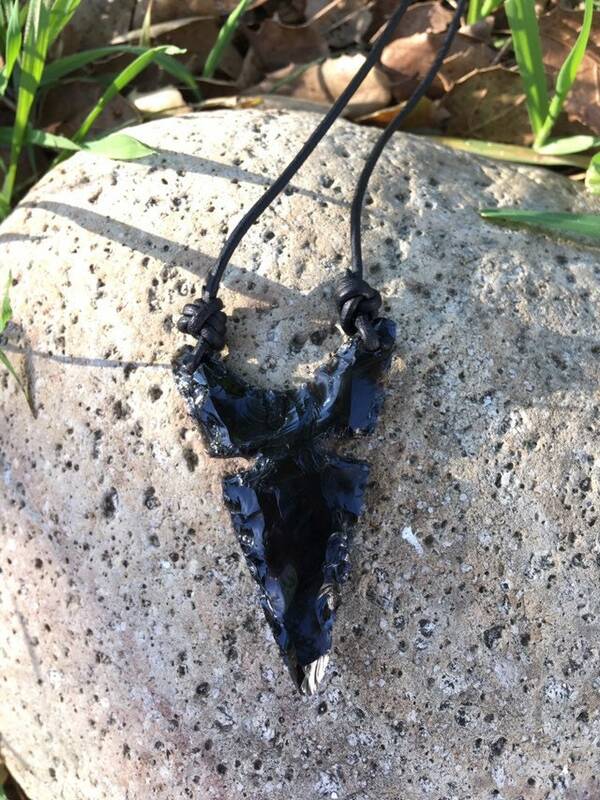 The arrowhead is 2 3/8" long and 1 1/2" at its widest. It is on a 22" long black leather cord.